A vinegar mother or mother of vinegar (MOV) is a gelatinous membrane called a biofilm that forms on top of a liquid being made into vinegar. It seems like a strange substance but it is completely natural and is actually a form of cellulose created by bacteria that produce acetic acid, the acid that is in all vinegar. Why Make A Vinegar Mother? How Is Vinegar Is Made? It is not possible to make vinegar without bacteria. 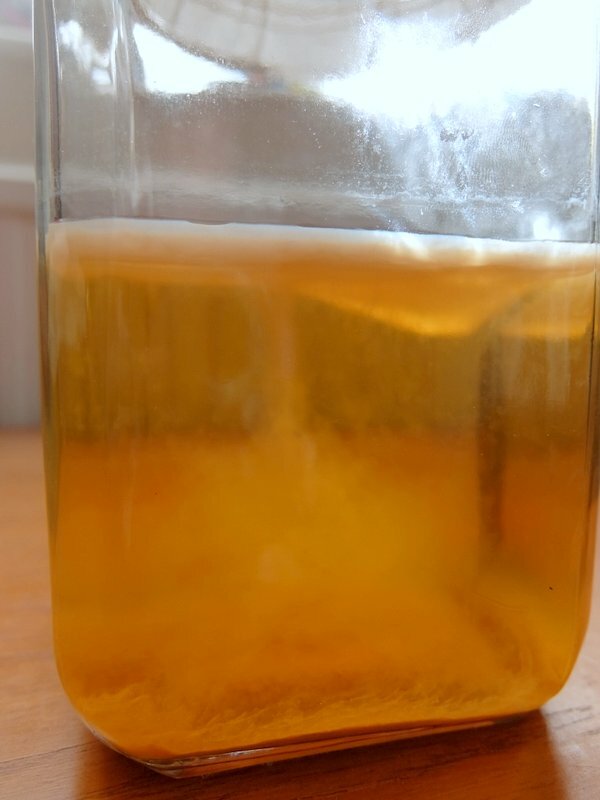 Acetic acid bacteria are key to producing vinegar and one of the byproducts of acetic acid bacteria is that whilst they are feeding on alcohol which is converted to acid to make the vinegar is they produce a film of cellulose and it is this biofilm that we call the vinegar mother. Vinegar is made from alcohol being converted into acetic acid by acetic acid producing bacteria. This is a naturally occurring phenomenon and would have happened for thousands of years because as long as humans have been making alcohol to drink it would have eventually turned to vinegar given enough time. Acetic acid-producing bacteria need exposure to oxygen. 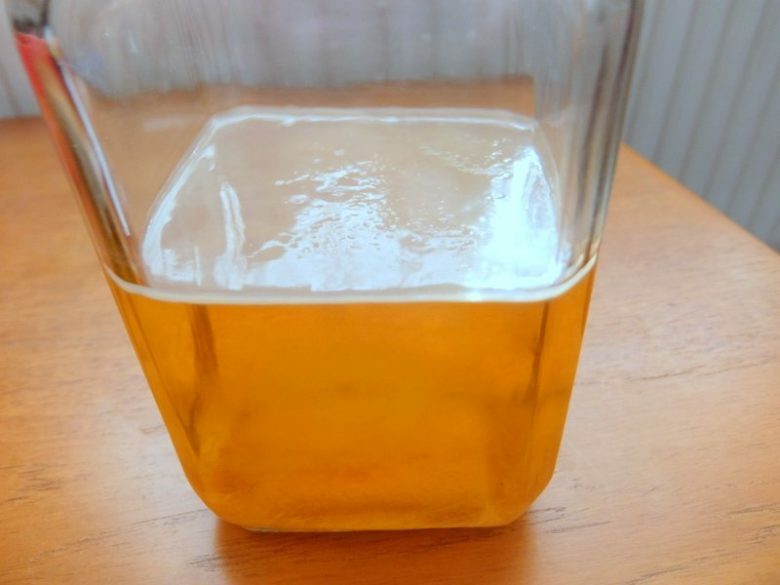 If you leave a glass of beer in an open container for long enough acetic acid bacteria will find their way in through the air and begin to break down the alcohol in the beer. This process happens aerobically, meaning oxygen is needed. This is why all alcohol is kept in airtight containers usually flushed with carbon dioxide to prevent the drink from spoiling. 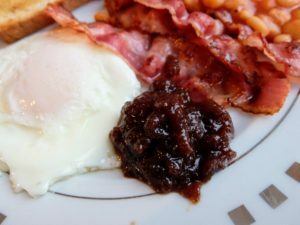 The acetic acid bacteria slowly consume all the alcohol available and convert it into acid meaning the red wine vinegar you buy in the shops used to be an alcoholic red wine but now only has a trace amount of alcohol. The acetic acid bacteria create a film on the surface of the liquid they are in enabling a large surface contact area with the air which is vital for the growth and reproduction of new cells. This is the part of the vinegar we call the mother although there is still acetic acid producing bacteria in the liquid too. With this knowledge, it is pretty easy to make vinegar. In fact, people have been making it even without this knowledge for thousands of years so we can make our own vinegar pretty easily. The simplest and most economical way to make vinegar and produce your own mother of vinegar is to culture one from a live unpasteurised vinegar. Doing this will start a vinegar fermentation in a matter of weeks rather than the months it would take to make one from scratch. The key to this is to buy a vinegar from the store that is live and unpasteurised. This vinegar will often say right on the bottle that they contain a vinegar mother so this is the thing to look out for. Cider vinegar such as Bragg Cider Vinegar has the bacteria we want in it and although it is made from cider it will still work fine for producing vinegar such as wine vinegar or malt vinegar. These are the easiest to buy and will create a vinegar you will probably be familiar with. The next part is key to getting you vinegar fermentation of to a quick start. We need to dilute the alcohol to ensure the right level where the vinegar mother will be happiest. Alcohol itself is a preservative and the stronger it is the harder it is for bacteria to grow. Some bacteria like acetic acid bacteria can grow and reproduce in solutions with alcohol but not if the level of alcohol is too strong. This is why spirits last indefinitely because the ABV is too high for any bacteria to develop. Diluting wine down to 6% or lower will create the ideal conditions for a mother of vinegar to form which can then be used in other vinegar fermentations time and time again. The bacteria that produce the acetic acid and for the mother of vinegar need air. The mother of vinegar itself forms on the surface of the alcohol it is fermenting to maximise the exposure to oxygen. The fermentation needs to happen in an open container and it is recommended to use glass or another non-reactive container. Crystal glass, ceramic, metal containers are not suitable for fermenting vinegar. To stop unwanted visitors and dust from spoiling your vinegar fermentation is a simple case of covering the opening of the container with a cloth and securing with a rubber band or string. A dense weave cloth is best otherwise vinegar flies will make their way through. Add the live, unpasteurised vinegar to the alcohol which will add the acetic acid bacteria we need to start the vinegar fermentation. Cover the jar with a close weave cloth of paper towel to prevent dust and flies from entering the jar. Air will still be able to pass through but any contaminants will be stopped. The vinegar will start to ferment within a week or two. You will notice the vinegar will first go cloudy and then a gelatinous membrane will form. This membrane is the vinegar mother and it will form on the top of the liquid. After a month or two, you can sample the vinegar. Push the mother to one side and decant or syphon the vinegar out of the jar. Something like a turkey baster is good for this. Do not leave the vinegar for too long or the acidity will begin to drop. If you leave the mother too long (more than a couple of months) without feeding new alcohol fermentation will be difficult to restart. You will need to throw away the vinegar and start again. 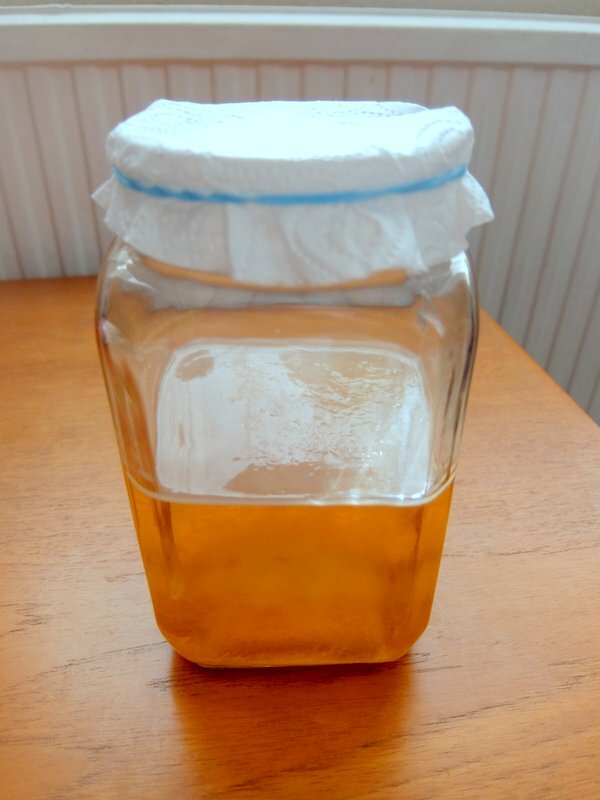 Take around half or two-thirds of the vinegar out and top up the jar with new alcohol. If you are using wine to make vinegar with there is no need to dilute this down as it will be diluted by the vinegar already in the jar. This process is ongoing and a vinegar mother can last indefinitely if you take away and top-up in this fashion. If you do make vinegar yourself then it should not be used to pickle or for long-term preserving. 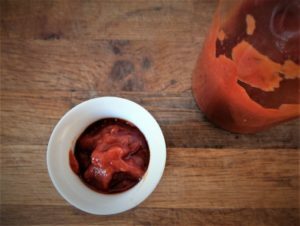 We cannot verify the acidity of homemade vinegar without testing with a titration kit so only use the vinegar in sauces, dressings and the like. 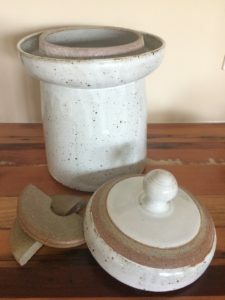 What Are Fermentation Weights? Do You Need Them For Your Ferments?